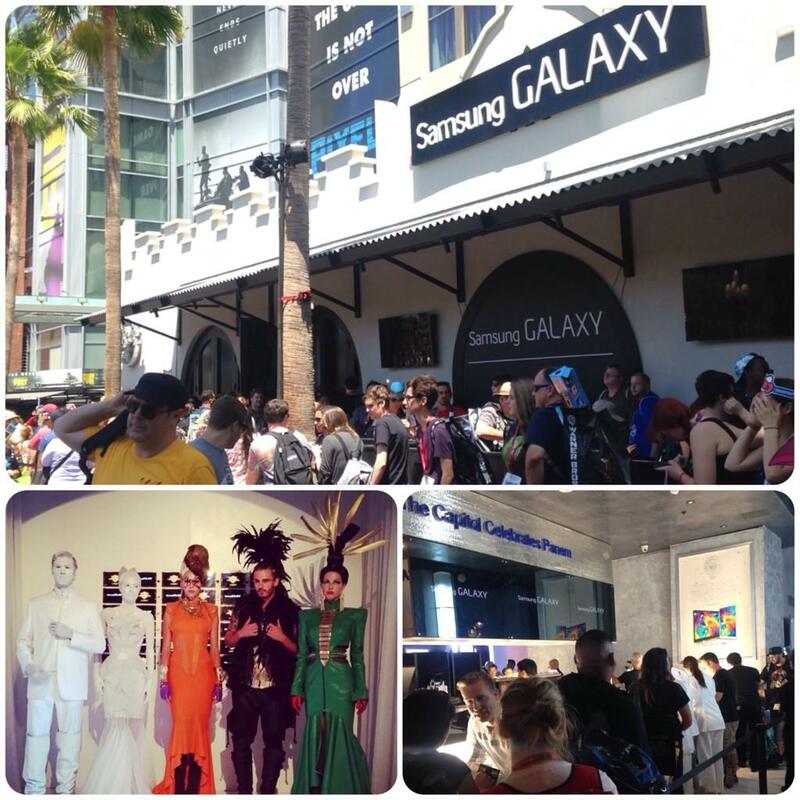 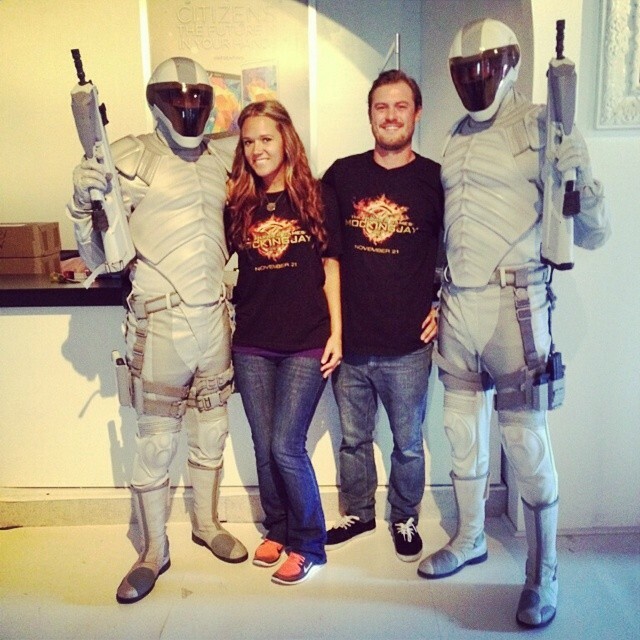 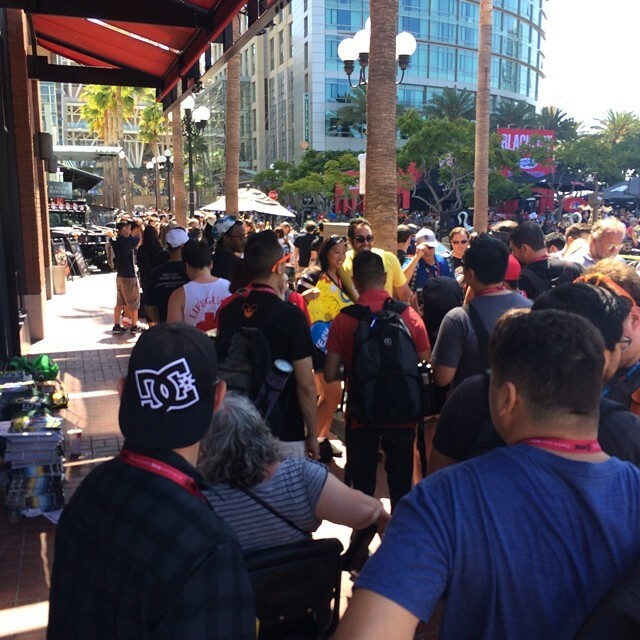 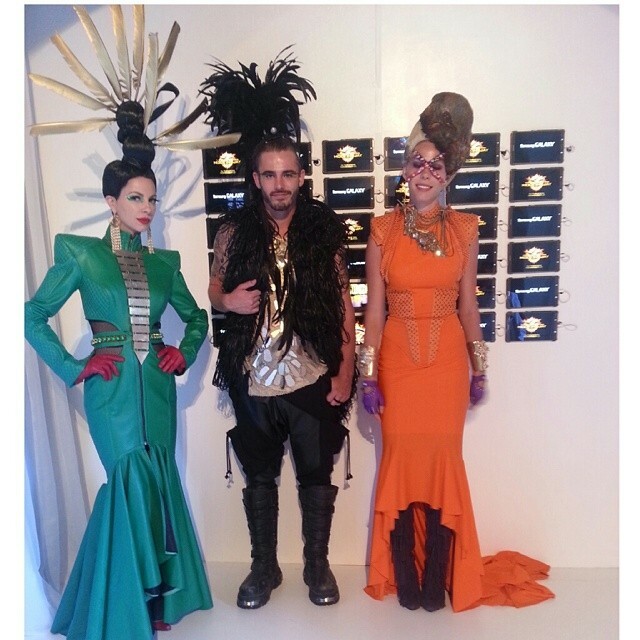 Today was the first full day of SDCC 2014, and promotion for Mockingjay is off to a great start. 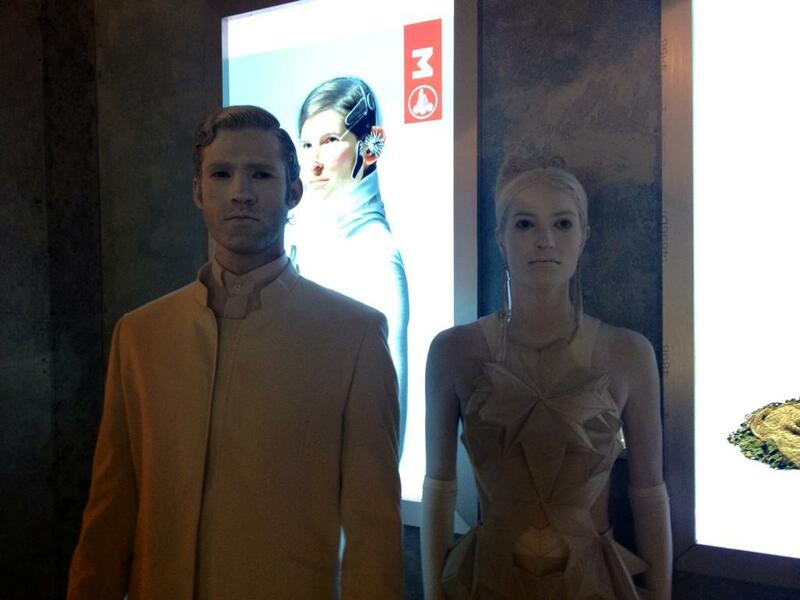 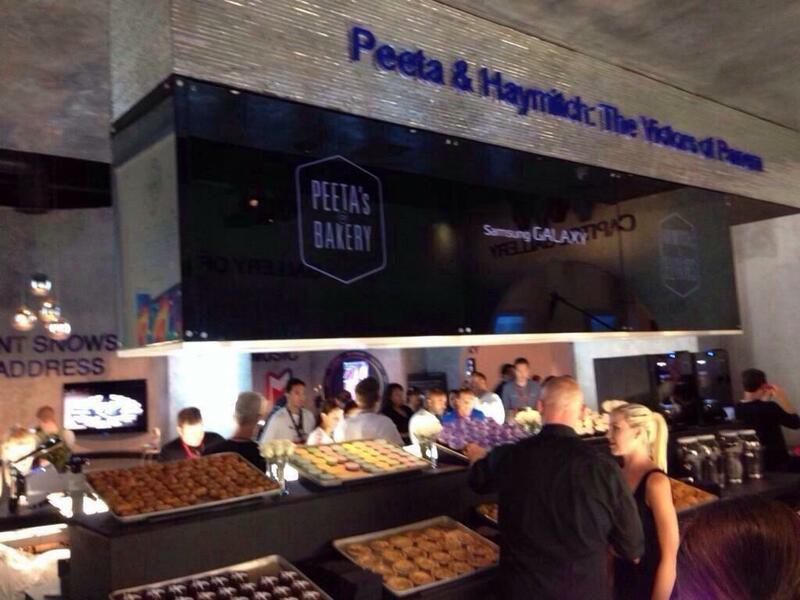 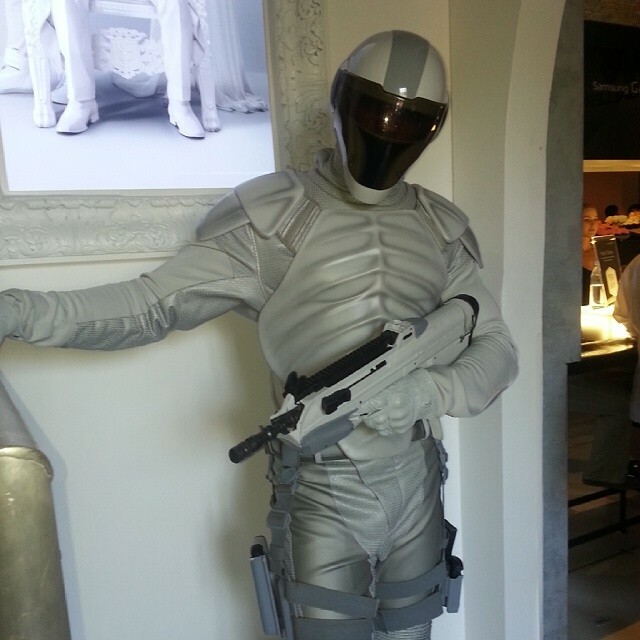 The 'Capitol Gallery' in Bar 207 at the Hard Rock Hotel has been opened, and it contains loads of cool features, inlcuding Peeta's bakery, Haymitch's elixirs, Capitol models, and peacekeepers. 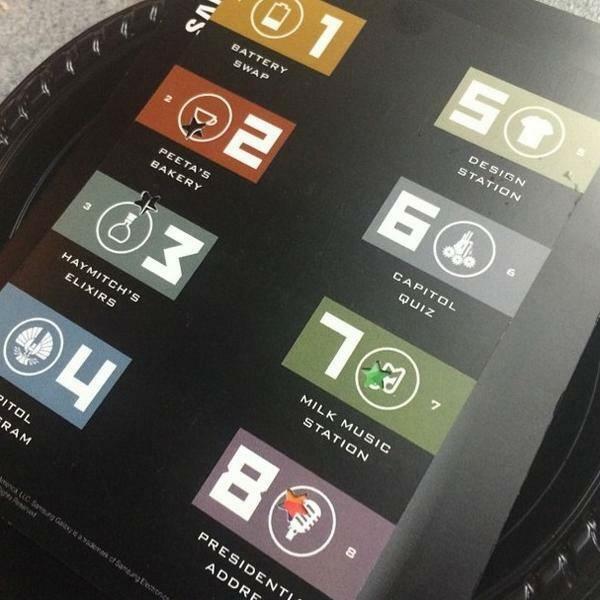 Items offered by Peeta's bakery include: the Capitol Cronut, President Snow's Rose Cupcakes, Mockingjay Brownies, Mellark Goat Cheese Apple Tart, Effie Cupcakes, and more! 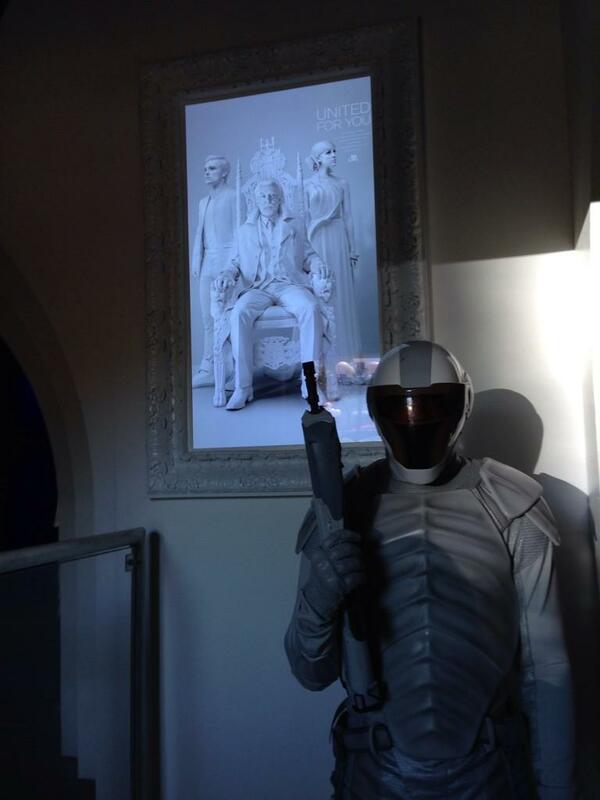 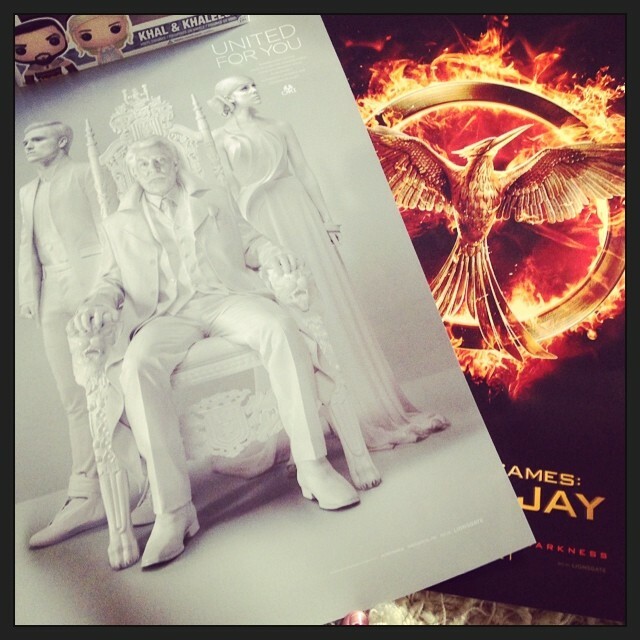 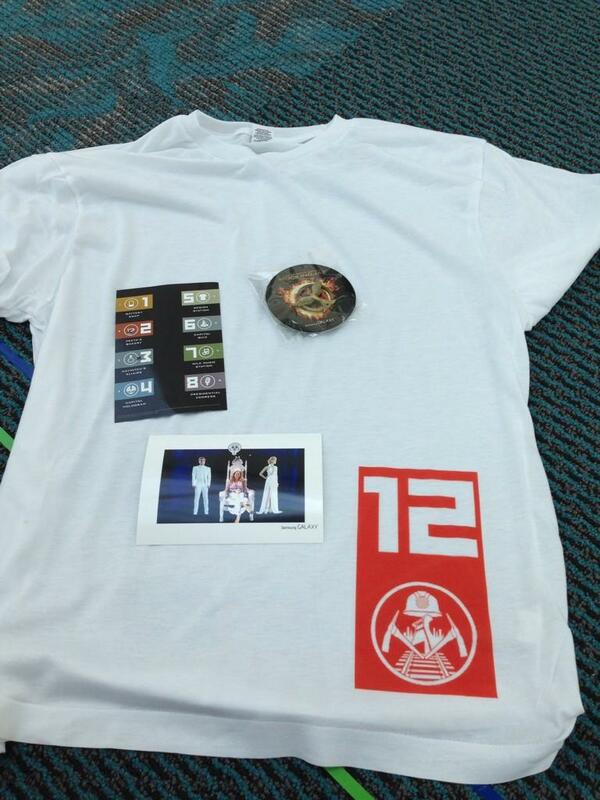 Lionsgate have also been handing out official posters and pins to lucky fans. 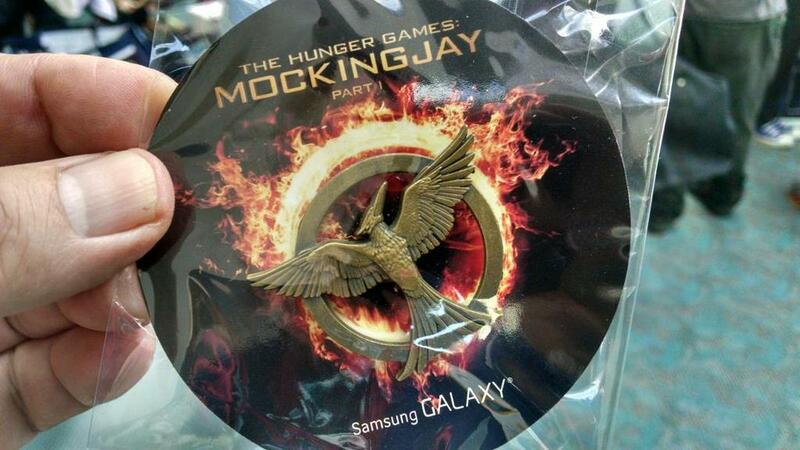 According to our Twitter follower @aross10, there was a two hour wait in line to get a pin, and people are required to have them in order to view the Mockingjay trailer at the event tomorrow.